"Cash is a proxy for the freedom to maintain some privacy in an era of Big Brother repression, surveillance and the suppression of dissent .. The real goal behind calls to eliminate cash is to limit our freedom to opt out: to drop out of the entire must-get-a-paycheck-and-pay-payroll-taxes lifestyle that supports the status quo .. 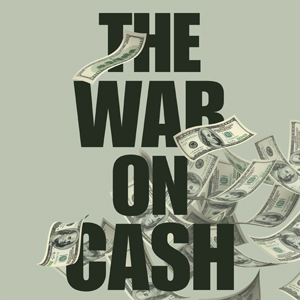 The war on cash is all about increasing control by eliminating privacy and the freedom to abandon the debt-serf rat-race .. I see crypto-currencies as playing an increasingly important alternative role in a world of state-sponsored financial repression." Register here for the Rally in Washington on June 16! Thank you Matt for your service to our country and for taking up the fight to change the FDA's status quo while fighting your own battle with ALS. You are amazing! our politicians have no problem sending men to die in war but when they battle disease they go mute?????????????? ?